Our goal at RHR is to produce sound, sociable puppies for the show ring and as the perfect companion. 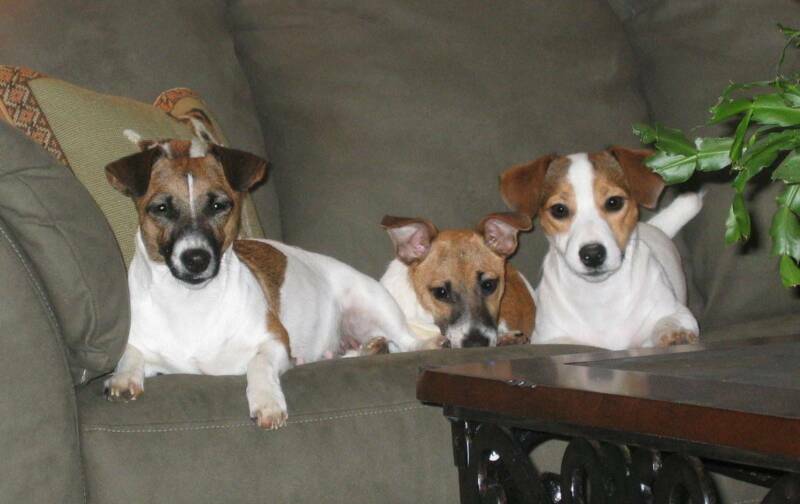 Every effort is being made to produce puppies that are as healthy as possible while having conformation that is true to the type of a Russell Terrier. 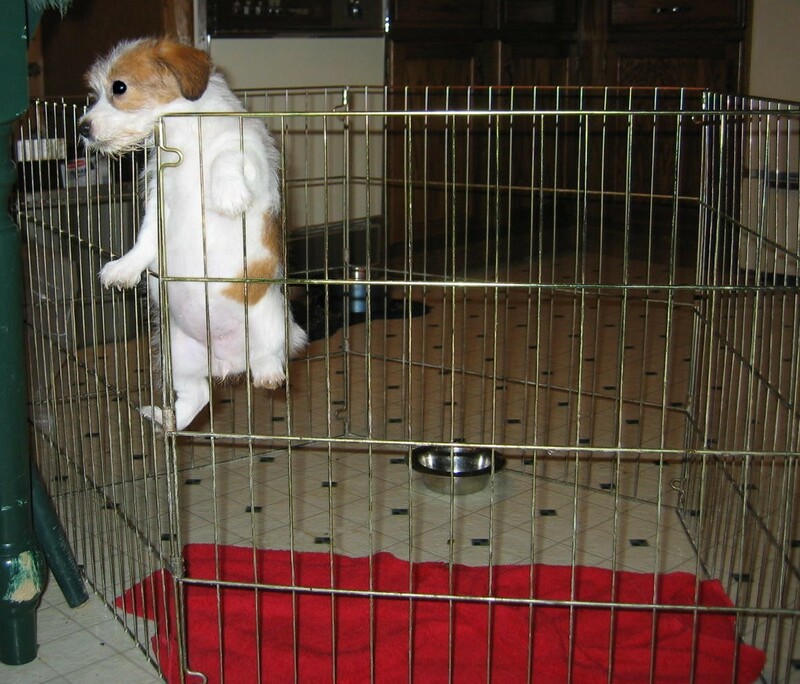 Breeding dogs are screened for common health issues that affect this breed. Our BAER (hearing), CAER (eye), patella, and PLL DNA results are verifiable on the OFA site. A lot of effort has been put towards learning as much information as possible about producing the best dogs around...this includes literature, videos, seminars, teachings from qualified mentors, forums, and much, much more. It is not enough to just want to breed quality dogs. You really have to work at it! All of my personal dogs are pets first, living their lives around me in the house. Available adults and older puppies have paddocks they can enjoy and a temperature controlled kennel for when the weather is bad. Expecting mothers are very closely watched and give birth in a whelping pen set up in my bedroom or at the vet clinic while I work. All the girls are so good natured that they will let anyone assist in the birthing process and the handling of their puppies. At home, most of my dogs can run loose together with supervision and have a fenced in half acre to romp through during playtime. We have enjoyed going to a variety of events...conformation, lure coursing, dock diving, rally, and earthdog. These dogs are so versatile that they can get involved in almost anything. They are the joy of my life! You find you can live with a housefly with ease. And crates in the kitchen, it's "no bother" you said. Yes, those dogs are addictive and so's the dog game! 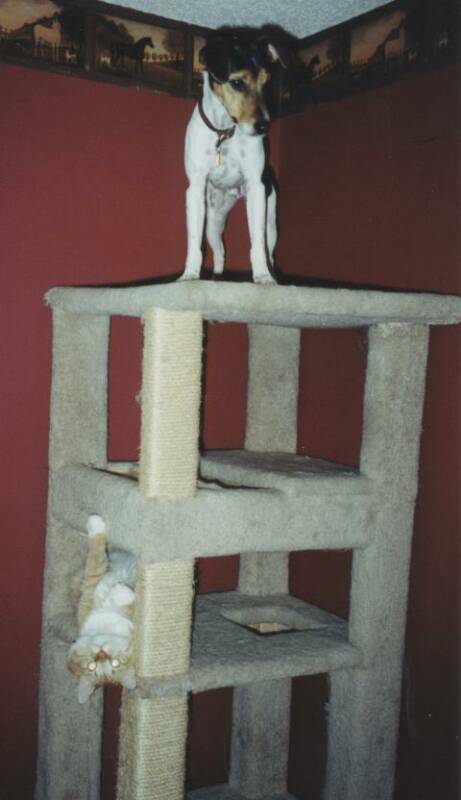 Russells and JRTs can be very good climbers and are capable of getting into/out of a variety of interesting places!